The consolidation and modernisation of the Australian Business Register (ABR) and the 31 Australian Securities and Investments Commission (ASIC) business registers onto a single platform is welcome and long overdue. The consolidation of business registers will simplify business’ interactions with Government and reduce duplication. It will ensure that businesses need only ‘tell government once’. 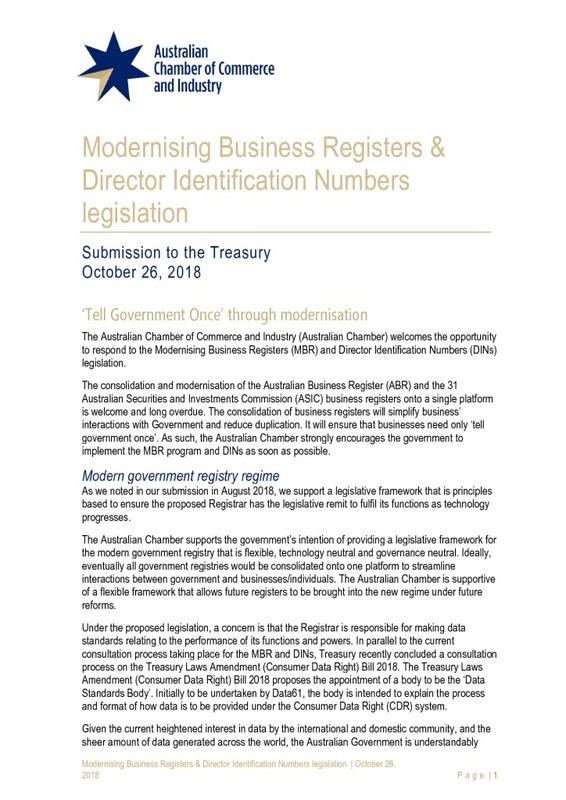 As such, the Australian Chamber strongly encourages the government to implement the MBR program and DINs as soon as possible.